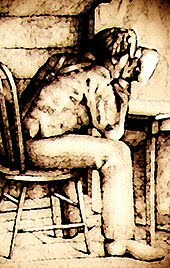 Religious Douchebags: Joseph Smith, Jr.
Joseph Smith, Jr (December 23, 1805 – June 27, 1844) was the founder and prophet of the Latter Day Saint movement. In the late 1820s, Smith announced that an angel had given him a set of golden plates engraved with a chronicle of ancient American peoples, which he had a unique gift to translate. 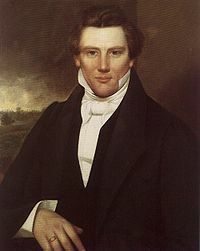 In 1830, he published the resulting narratives as the Book of Mormon and founded the Church of Christ in western New York. Moving the church to Kirtland, Ohio, in 1831. He sent some to Jackson County, Missouri, to establish a city of Zion. In 1833, Missouri settlers expelled the Saints from Zion. Fleeing an arrest warrant in Kirtland, Smith joined his remaining followers in Far West, Missouri. Believing the Saints to be in insurrection, the Missouri governor ordered their expulsion from Missouri, and Smith was imprisoned on capital charges. After escaping state custody in 1839, Smith directed the conversion of a swampland into Nauvoo, Illinois, where he became both mayor and commander of a militia. In 1843, he announced his candidacy for President of the United States. Smith first declared martial law, then surrendered to the governor of Illinois. He was killed by a mob while awaiting trial in Carthage, Illinois. Joseph claimed an ability to use seer stones for locating lost items and buried treasure. To do so, Smith would put a stone in a white stovepipe hat and would then see the required information in reflections given off by the stone. In 1823, while praying, Smith said he was visited at night by an angel named Moroni, who revealed the location of a buried book of golden plates as well as other artifacts, including a breastplate and a set of silver spectacles with lenses composed of seer stones.